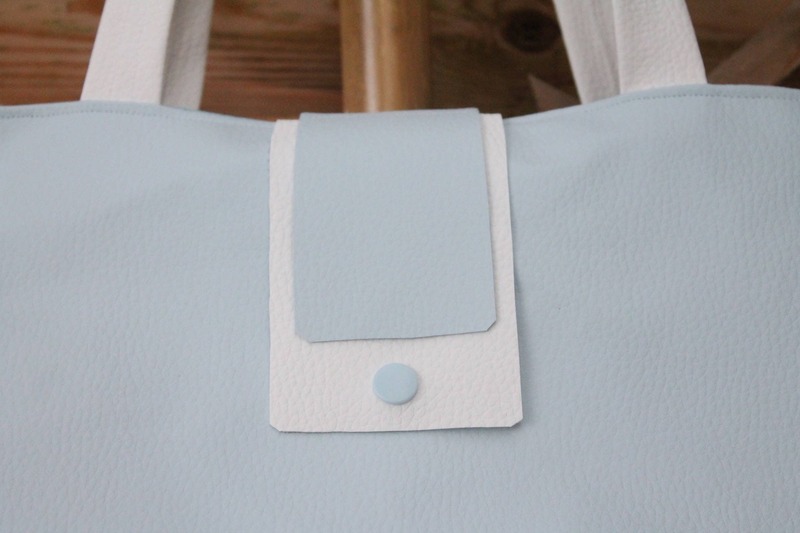 This bag is in pastel blue leather and forms, thanks to two magnets, two bellows in imitation white leather. The interior is in blue cotton with white polka dots and is composed of two pockets. The closure is done with a press button. 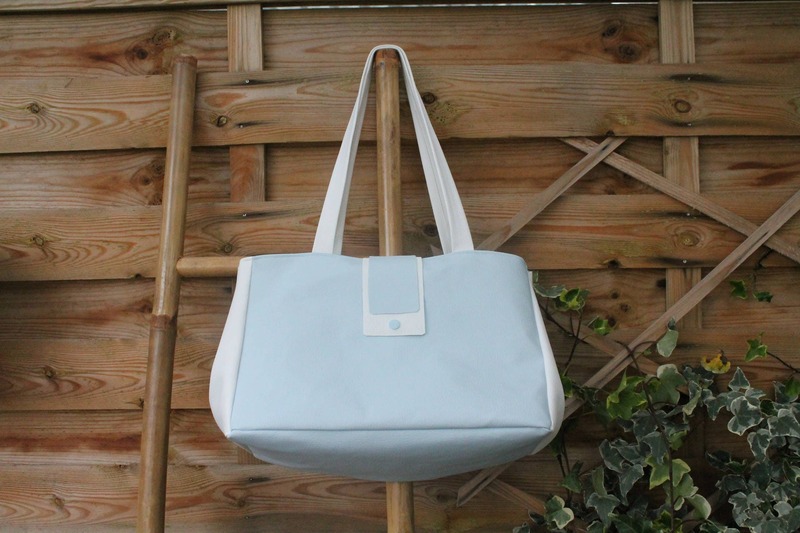 The handles are in imitation white leather and measure about 60 cm. If you want a different color, do not hesitate to contact me on lepaysdelaure [!at] gmail.com!